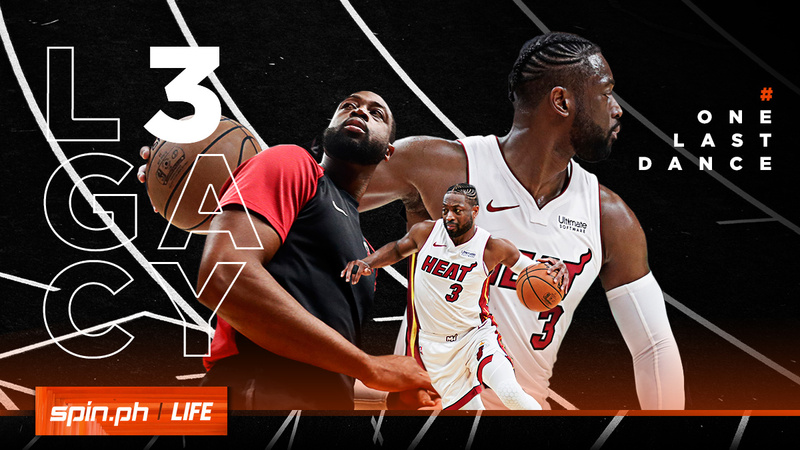 REAL fans of the NBA, and more specifically, Dwyane Wade and the Miami Heat, still can’t believe that this may be the final time we see D-Wade play. In his last home game where Miami hosted the visiting Philadelphia 76ers in the American Airlines Arena, it seemed like there were too many clouds of dust in people’s eyes. The last couple of days saw some heartwarming tributes for #3. It all started with this Budweiser commercial. Just a few hours after that, Gatorade, one of Wade’s partners throughout his entire NBA career, offered this. If you don’t get the context of his son, doing some moves on the floor, let this Converse commercial rewind the clock. Then, being one of the humblest and most down-to-earth people in the league, Wade gave a shout out to his team, his coaching staff, and the Miami faithful. This past year, D-Wade has used the hashtag, #OneLastDance, and he actually put those words just above the heel tabs of his Li-Ning signature shoes for everyone to see. And just to put the icing on the already stacked cake, Dwyane Wade put up 30 points in his last home game, giving us another reason to ask why is he even retiring. In the last minutes, as Dwyane Wade gets substituted out of the game, the fans, his teammates, and even the 76ers players, gave him a warm round of applause. Seriously, can someone just stop him from leaving? After the game, Wade addressed the fans in the arena again, referring to them (and Miami as a whole) as “Wade County”. There might’ve been a little tumble at first, but he got his message across. Shaquille O’Neal, his key partner in their 2006 championship run in Miami, just had to poke fun at the teammate he once baptized as "Flash" via Shaqtin' A Fool. Of course, throughout the season, Wade has been trading jersey’s with a player each from the team’s he's faced. In this game, he gave his jersey to one of his friends and teammates from his short run with the Chicago Bulls, Jimmy Butler. And then, as if he’s Oprah, he gathered his teammates to give them all a jersey. You get a jersey! You get a jersey! You get a jersey! And, lastly, we think that former U.S. President, Barrack Obama, summarizes everything we want to say for the Miami Legend and his L3GACY. We're gonna miss you, D-Wade.